Innovation, like sports, has a design. You cannot just do anything and say you are doing well. That is contrary to Nike’s “Just Do It” commercials. In basketball, for example, you cannot just throw the ball in the air and say you scored, nor can you dribble anywhere and go down court. There are boundaries to the court. There are constraints to the design of basketball and the way you play. It is within these constraints that each player has the possibility of being extraordinary. Strategy is a means to an end. However, a strategy without a clear vision for what the end game is can lead you to an endless path of doing things that give you no satisfaction. That would be like running in a race without ever knowing where the finish line is. It would be impossible to know if you were running at the correct pace. In your mind, you may think you are winning because you are running at a great pace for the 100-meter dash, except the race is 1 mile. Most likely, your strategy will not take you the distance. Is Wal-Mart Becoming Its Own Worst Enemy? 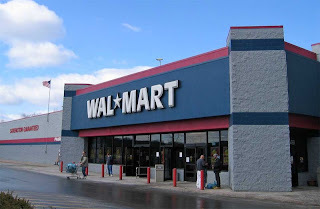 There are allegations that the Mexican division of Wal-Mart gave bribes to Mexican government officials and other people connected with Wal-Mart de Mexico’s incredible ability to secure permits quickly. The whole story is so convoluted that is sounds like a mystery soap opera. In September 2005, a senior lawyer at Wal-Mart received an email from a former executive of Wal-Mart de Mexico. The former executive accused Wal-Mart de Mexico executives of paying bribes to a number of officials to speed up the process of securing permits to open new stores. He stated that he was an attorney for Wal-Mart de Mexico in charge of securing construction permits. Wal-Mart corporate sent in investigators. They found a paper trail of bribes totaling $24 million. Furthermore, it was found that Wal-Mart de Mexico executives knew about the bribes and made a concerted effort to keep them hidden from corporate. The findings were so unbelievable that Wal-Mart hired a former FBI special agent to validate the findings. After his preliminary findings, he suggested the investigation be expanded. Much to his dismay the investigation was shut down and some of the executives in question were promoted. One of the biggest concerns was that Wal-Mart did not call the appropriate authorities to investigate wrongdoing. Some assert this was done because Wal-Mart de Mexico is such a success story. Approximately 20% of all Wal-Mart stores are in Mexico. Of Wal-Mart’s 2.1 million employees, 209,000 are in Mexico. In fact, Wal-Mart de Mexico is one of the most profitable and the largest foreign subsidiary. The CEO of Wal-Mart de Mexico, Eduardo Castro-Wright, during the time of the allegations is said to be brilliant. He was seen as the possible successor to CEO corporate. However, this story hit the New York Times. The Times interviewed the former lawyer who originally reported the allegations, Sergio Cicero Zapata. Mr. Cicero said that before the case was shut down, several parties were brought in to investigate the allegations. Mr. Cicero stated to those investigators that his job was to make payments to lawyers that are called “gestures”. In turn, those lawyers took the money to the appropriate government officials, environmental inspectors or building code officials as bribes. After further investigations, it was found that Mr. Cicero’s wife was a lawyer for one of the gestures. He denied it. As investigators attempted to dig deeper, they were blocked by the executives being implicated. For some reason, the executives defended themselves adamantly and were allowed to be part of the investigation. As a result, investigators started to resign or were told they were no longer needed. To this day, it is unclear as to the validity of Mr. Cicero’s allegations. The executives of Wal-Mart de Mexico were finally given the right to take charge of the investigation. They claimed there was no evidence of wrongdoing. They stated that gestures are a legitimate part of doing business in Mexico, especially in real estate. They defended their position and completely discredited Mr. Cicero. With so much being hidden at such a large monster like Wal-Mart, you have to wonder if their only enemy is themselves. Their success is what can undo them from the inside. While most people may imagine that Einstein was very scholarly and focused on studying concrete numbers and science, his quote sends a very different message. In the mid ‘90s, one of my clients had a jar filled with candy. Inside of each candy wrapper, there was a saying. I chose one that asked, “If you lost everything you had, what would you have?” My response was “I would have everything. As long as I have myself, I have all that I need and I can rebuild my life with who I am”. In 1996, I gave away everything I owned, my car, house and even a decent amount of money. I unloaded everything to fulfill a childhood promise I made to myself. I was leaving the US to live abroad. When I say language, my reference has nothing to do with English, Spanish or Chinese. I am asking you if you know if you speak the language of success or excuses. I am also asking you to consider the language you use when you are thinking, or speaking to yourself. I am asking, “What do you language?” Your language is in your words, your tone, your appearance, the way you get things done and the movement of your body. Those are ways to language in the world. Do you really hear what you say when you encounter problems? How do you move? Do you language negatively when you encounter something that is considered great? It’s amazing how each of us creates an identity. The identity we create has a body of knowledge and experiences that we depend on. As a result, the identity functions on automatic and helps us survive in this world. If you observe, you have a particular response to situations given the stimulus. In other words, who we are has gotten us to where we are. When we encounter circumstances we like, we are happy. When we are faced with what we don’t like, we fight, take flight or freeze. The identity we have predetermines our actions. And it is difficult to see it is our identity that is driving our thoughts and actions. This same identity that guides us may also trap us. We believe the identity we have is the right one and it protects us. Without question, it has gotten us to where we are. Yet, our response to stimulus is so predictable that we can’t see the possibility of completely new ways of thinking and doing things. However, those who clearly see what they want in life understand they must become someone else to get there. More importantly, they will modify the environment, and in some cases, they will creatively destroy the environment, to create the circumstances that will support their goals. Creative destruction is not as painful as it sounds. It requires you let go of limiting beliefs that were given to you by the environment you were born into. That may mean letting go of relationships and objects that represent the past. Go ahead! Lighten your load and move into the circumstances you desire. The Wall Street Journal recently published an article called Employees, Measure Yourselves (April 2nd, 2012 section R1). The article talked about devices that companies could make available to employees. These devices allow workers to monitor their performance, from their heart rate after a stressful meeting to how long they spend chatting on Facebook. The article mentioned that this is not an opportunity for employers to play big brother. Already, many organizations monitor employee productivity by keeping track of what sites they visit and how much time is spent on each one.